The Lorde saga has now reached new riveting heights. 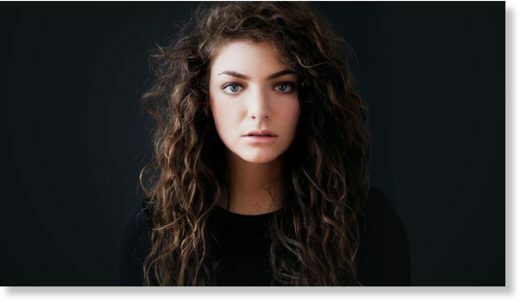 Just a few months ago on December 21st, 2017 two young female fans from Aotearoa, New Zealand wrote an open letter urging Lorde to cancel her Tel Aviv concert, scheduled for June of this year. A few days later, Lorde, a 21-year-old singer, and songwriter canceled her Tel Aviv show. This quickly prompted outspoken celebrity Rabbi Shmuley Boteach to take out a full-page “ad” in the Washington Post to initiate a smear campaign against the New Zealand artist. In his ad, the rabbi falsely claims Lorde is a “bigot” and calls her a “hypocrite”. Soon after the Tel Aviv concert was canceled, three Israeli teenagers sued the activists that wrote the open letter. Rabbi Shmuley Boteach’s Twitter account caption touts: “Rabbi Shmuley whom Newsweek & Wash Post call ”the most famous Rabbi in America” is a world-renowned author of 31 books, broadcaster & relationships expert.” Shmuley who has taken out a full-page ad calling Lorde a bigot and hypocrite is no stranger to controversy. “I am a Florida native, born and raised, Fine was extremely racist by calling us Palestinians, terrorists. I will not be silenced here in Florida, and I am not a terrorist as he implied on his post. It makes me feel angry and frustrated to be called a terrorist because I speak out against the ethnic cleansing of my people. Boycotting apartheid is my right as an American citizen”. Masri also stated, “I have nieces here in Florida Ahed Tamimi’s age. They want to attend the Lorde concert but now another Zionist is trying to take that away. Just like Ahed, we are being punished with rights and privileges taken away because we support Palestinian Human rights. It’s crazy! I will boycott israeli apartheid until Palestinians have basic and equal rights according to international law and basic moral codes of decency”. Ahed Tamimi who is being referenced in the above quotes by Zaina Masri, is an iconic 17-year-old Palestinian activist from Nabi Saleh, who has made headlines for confronting armed Israeli soldiers. She is scheduled to be tried by Israeli court Tuesday, February 13th, confronting two armed Israeli soldiers that would not leave from her property. Below are Mr. Frank’s private messages with Mr. Fine. Amidst opposition of the BDS movement by Pro-Israel mouthpieces such as Florida State Rep. Randy Fine and Celebrity Rabbi Shmuley Boteach the BDS movement is growing in membership and support and was recently nominated for the Nobel Peace Prize. Unfortunately, however, threats, as well as legal, and financial repercussions from individuals that are benefiting from supporting the occupier state of Israel, will most likely increase as the BDS movement grows. Today more than ever, taking a stance against Israeli aggression towards Palestinians comes at a hefty price. But for many in the growing BDS movement, it is one that they are willing to pay. This article was written on February 13th, 2018 by Sarah Abed and can also be read on the following websites, American Herald Tribune, Mint Press News, and Signs of the Times. That Randy Fine sounds like a not so bright Ugly American. Thank god everyone isn’t like him. Wonder if the Israeli lawsuit will have any effect on people who don’t live in Israel and don’t have assets there? If the the verdict has no effect outside the country, it’s not so big of a threat. If I was Lourde I’d just cease doing concerts in Israel. The man revealed his great stupidity and perverseness with that statement. Darkness is its own reward. As bad as this fool is now, he’s going to get worse. That’s because he’s on the path of darkness. The longer you are on that path, the further from light you get. I see the above (quoted) stupidity from 1 percenters and their tools all the time. Randy called a lot of people terrorists who aren’t. (He could have been smart and warned BDS supporters that they ‘could’ be seen as terrorists or they ‘could’ be labelled terrorists for keeping bad company, for example.) I understand the need for self-modified people (who jettison the golden rule for neoconservatism) to seek glory, which you get by taking something from others, forcing them to notice you. But in this case, this idiot may just get more negative attention than he wanted. He doesn’t seem to get that it’s a balancing act. You abuse (always from a position of power and authority of course), so as to get the attention (glory) you crave, but not to the extent that it will rebound on you.